In the field of general authentication, the growth of many trends has been observed for several¨years, especially in the field of biometrics. The most common trend is to link biometrics with cryptography, introduction of electronic signatures with biometric features and implementations of the new technologies based on biometric identifiers. 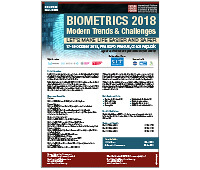 The three-day international conference BIOMETRICS 2018 is focused on modern trends and technologies in biometrics, electronic identification and cryptography. 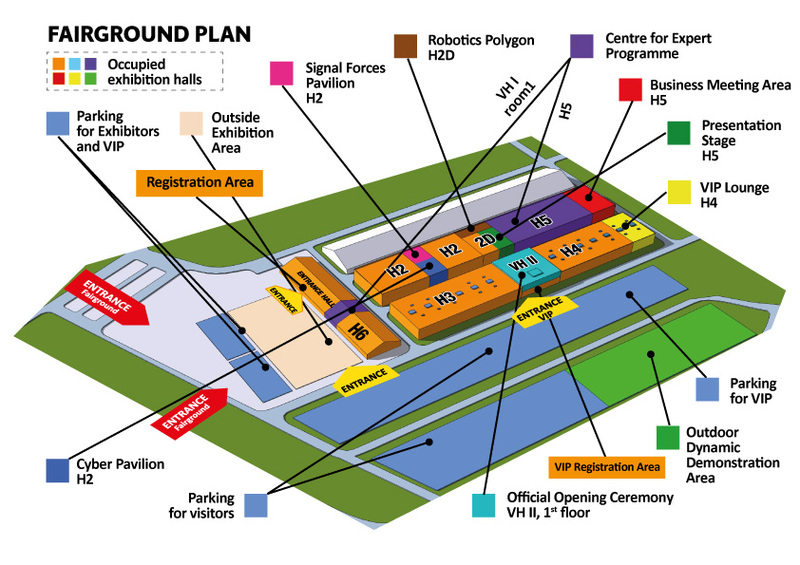 The conference is organized as an official professional event of the international FUTURE FORCES FORUM (FFF) project, allowing meetings of experts and representatives of the public sector, security and armed forces, private sector and academia. 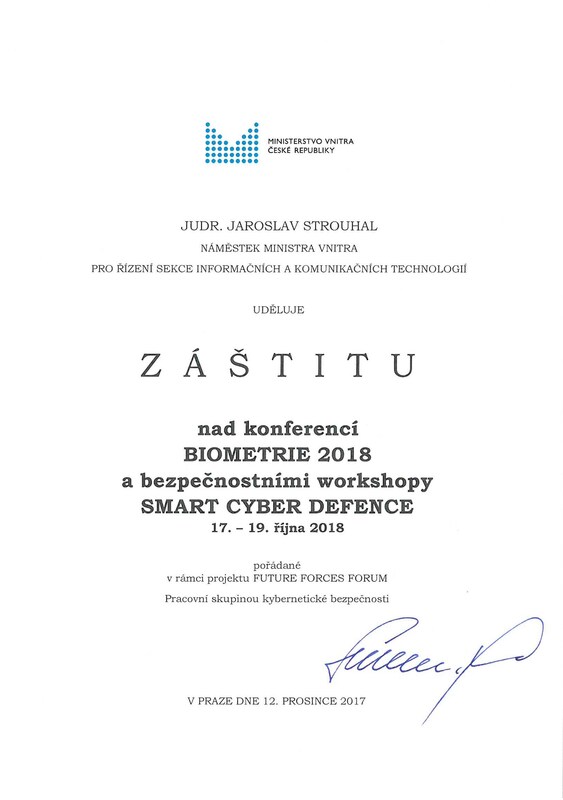 The aim of the conference is to exchange experiences and information on current trends in the field of biometrics and cryptography, as well as wide public discussion over the future challenges and initiatives in this area, particularly with regard to personal electronic identity, modern information and communication systems not only of public administration (e-government). 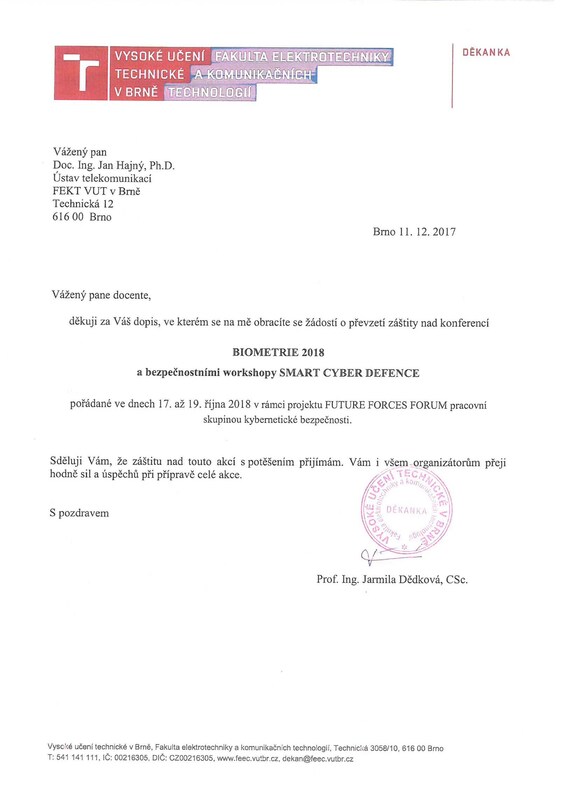 The conference is organized as follow up on several professional events organized by the Cyber Security Working Group AFCEA, the Police Academy of the Czech Republic, the National Cyber and Information Security Agency (NCISA) and the Ministry of the Interior of the Czech Republic, which in the years 2014-2017 focused on cryptography, electronic identity, eIDAS and biometric technologies. Current challenges in cyber security - what we can expect?